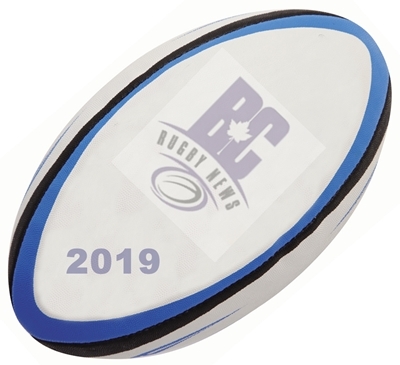 There doesn't appear to be any senior men's CRC (Canadian Rugby Championship) this year, it's been dying a slow death over the last few years. Described by Wiki as "an amateur rugby union league located in Canada, partially funded by the International Rugby Board (IRB). It is the highest level of domestic rugby in Canada." Obviously words from an earlier time but the "league" has been irrelevant for many years and was just a weekend tournament in Calgary the last few years. This year out west the BC Bears will play the Wolf Pack home and away and that's about it, there's an exhibition match for the Bears vs a lower level English club side where development players will get a run out. Out east it's slightly more organized, the Ontario Blues will play Eastern Ontario, then Quebec before flying out to Halifax for two matches in what's billed as the Eastern Canadian Super League Championship. That Championship is likely Ontario, Quebec and Atlantic (unless Rock and Nova Scotia go in separately). Then Ontario play two games against University Dublin College in August. So for Ontario players (they're focusing on U25 for these games) that's six games compared to three for BC players. It brings up the question - what is the development model for Canadian senior men now that the CRC has been abandoned? Has Rugby Canada turned that over to the MLR, a league with one Canadian team and eight American teams? Is the development plan now to get more Canadian players in the MLR and that's it? Rugby Canada have started putting out MLR weekly summaries on their website and social media platforms, so they're projecting the image that the MLR is their development plan even though they haven't officially stated it. If you look on the RC website this is the official development model. 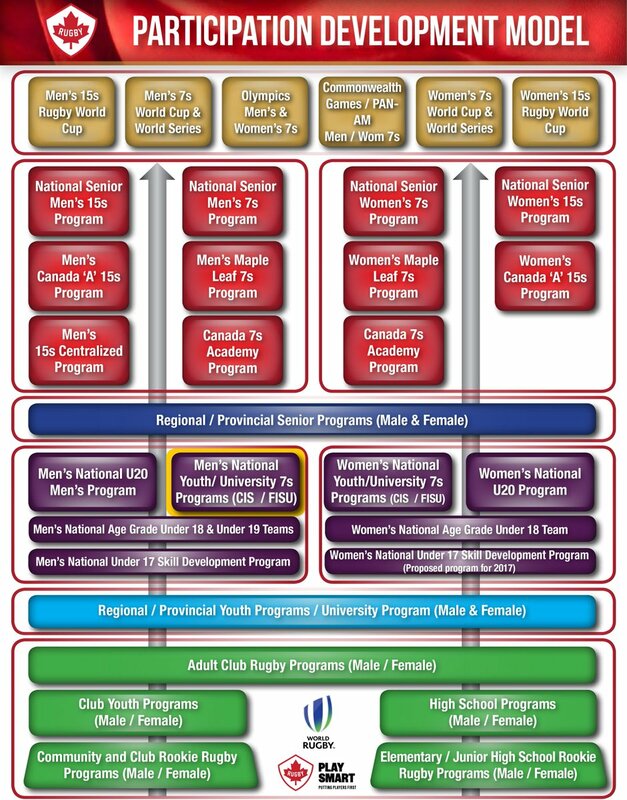 Some of the boxes are in theory only, a men's Canada 7s academy program. I'm sure head coach Damian McGrath wishes it were so. The Maple Leaf 7s program, a touring team brought together several times a year, not a program anymore. The men's 15s Centralized Program, not very well defined outside of players who have access to training at the Langford centre and receive a modest stipend. There hasn't been a recent published list of centralized athletes to our knowledge. When the MLR came last year it took many of the players and the Arrows starting up this year have taken more. The lines between Canada and Canada A hardly exist now since Canada put in a full national team in the ARC when it's actually a Canada A side. The University 7s has downgraded this year, the men's national youth 7s cancelled this year. It might be a good exercise for the RC brain trust to revamp this diagram as part of their planning process, considering what's actually out there and what's feasible in the near future. Rugby Ontario aren't shy about stating the Toronto Arrows are the pathway to the national team, on their website under Senior Men's program goal, "To provide an elite development opportunity for Rugby Ontario Men that bridges the gap between the U19 Blues and the Toronto Arrows/Canadian National Senior Men’s Program.". While Rugby Canada publishes a development model that is theoretical in some areas and non-existent in others, Ontario have focused on the current reality based on what they hear from the national XVs coach and the Rugby Canada media department. The other provinces, including BC, are following a national model which is out of date and which Rugby Canada doesn't fully support in practice. Time for some leadership from the top in spelling out the development model that's currently being supported at the national level, then consistently communicating that through the national coaches and media channels.